This paper investigates the integration of multiple time-of-flight (ToF) depth sensors for the purposes of general 3D tracking and specifically of the hands. The advantage of using a network with multiple sensors is in the increased viewing coverage as well as being able to capture a more complete 3D point cloud representation of the object. Given an ideal point cloud representation, tracking can be accomplished without having to first reconstruct a mesh representation of the object. In utilizing a network of depth sensors, calibration between the sensors and the subsequent data alignment of the point clouds poses key challenges. While there has been research on the merging and alignment of scenes with larger objects such as the human body, there is little research available focusing on a smaller and more complicated object such as the human hand. 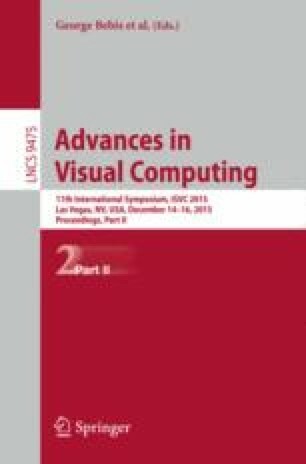 This paper presents a study on ways to merge and align the point clouds from a network of sensors for object and feature tracking from the combined point clouds.